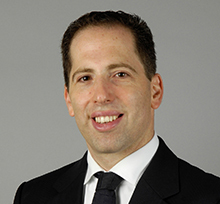 Tuvi Keinan is a Practice Group Leader for the Brown Rudnick's Special Situations and Distressed Debt team, and a Senior Partner of the European Real Estate Finance Practice. Tuvi represents capital of large funds, family offices, and developers that invest in or finance real estate and asset backed transactions. Tuvi focuses on the whole capital stack and on single assets as well as portfolio deals, predominantly in Europe. The team delivers billions worth of deals to its clients yearly. Leveraging his industry contacts, Tuvi is entrusted with origination of new off-market opportunities and provides a number of services from sourcing transactions to securing and structuring senior and mezzanine financing, introducing co-partners, negotiating and financing debt buy backs as well as NPLs and, once the deal is structured, preparation of legal documentation and managing the transaction to successful closing. His team is well known for a high success rate of deal execution as well for unlocking and finding angles when closing complicated deals. He has built a reputation in recent years for leveraging debt and legal aspects in the context of litigation funding. Before joining Brown Rudnick, Tuvi was serving as a pan-European CFO for Morgan Stanley Real Estate Investing Group. In this role he was responsible for cross- jurisdiction related investment origination, financing, restructurings and hedging, in the UK, Ireland, Germany, Scandinavia and EMEA emerging markets. Prior to joining Morgan Stanley, Tuvi worked as a practicing lawyer in London, New York and Los Angeles with Clifford Chance and Paul Hastings. Tuvi is fluent in German and is admitted to practice in England & Wales and the State of New York. Tuvi has second to none experience having originated and restructured over $20bn of European real estate financings with hundreds of lenders and borrowers. Tuvi’s focus is on large transactions in excess of $200m.